South India is a tropical paradise of endless beaches and dense jungles, ruins and mouthwatering food. Being India though, there’s almost too much to see and there’s never really enough time to see it. In this blog, we’re going to help you pack the most punch for two weeks in South India. Do it without pushing yourself so hard you forget to have a great time. If you’re looking for deserts and mountains instead, check out our post on similar routes through North India. This route is perfect if you’re young and wild and just aching to break free. We start off in vibrant, accessible Mumbai, full of great pubs, shopping and architecture, easing your way into the rural life. From here you can catch any type of transport and be in summery Goa overnight. Goa is the greatest place to let go. Just veg out on any one of the endless varieties of beaches. Check out the awe-inspiring crumbling artwork. Drink cheap beers between yoga classes on spice farms and get cheap temporary tattoos. Slow it down a bit at peaceful Hampi. Its historic grandeur is quiet and unimposing, sneaking up on you as you slide down the Tungabhadra. It’s a nice break after the more hectic Bombay and Goa. 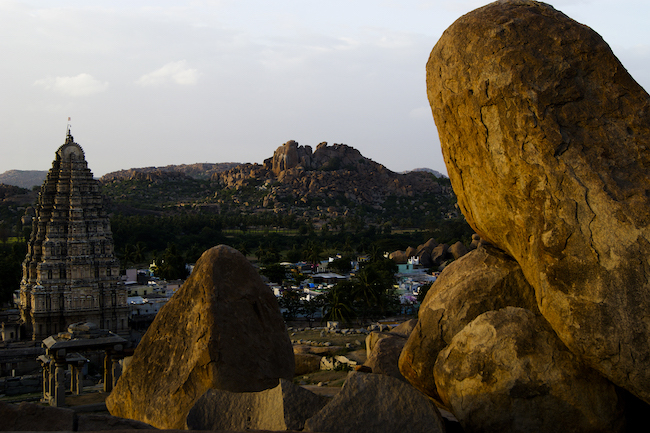 Additionally, spend a little time among Hampi’s gigantic boulder mountains and pick yourself up before moving on to Mysore. Another haven for history lovers, though far better maintained and spectacularly opulent. Those who can handle the spice should try the famous Mysore masala dosa, a paper-thin rice pancake lined with chilli paste and fried potatoes. 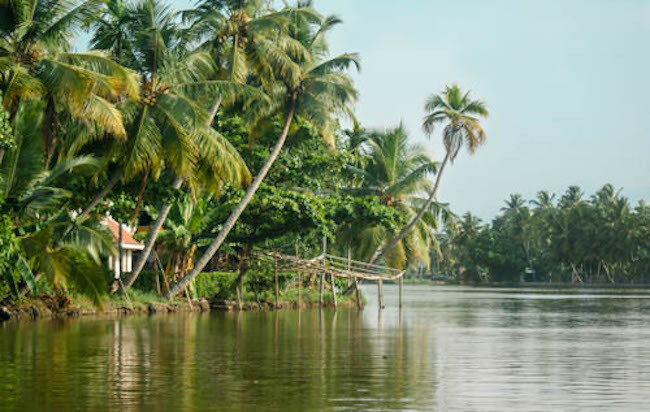 End your trip further down south among the lagoons of Kerala. It’s hard to recommend only one stop in this gorgeous state. However, we’d suggest Alleppey for a night out on the backwaters, Munnar for its weather and tea and Kochi for the culture-seekers. Highlights: Pace yourself between hyperactivity and relaxation as you tread the different elements of a vibrant region. Good to know: This route isn’t that well connected by trains, which may mean longer trips on buses, usually overnight, better for active travellers. 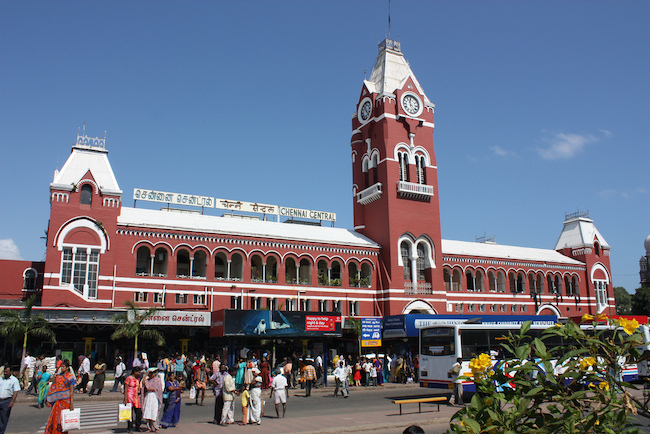 Travel down into the bastions of South Indian Pride – Tamil Nadu and Kerala. Two states that seem somehow both diametrically opposed in culture yet overflowing with similarities. Land in Tamil Nadu’s capital, Chennai. Growing upon its deep-set cultural identity is a buzzing tech hub. It makes for an easy entrance into the route. From here, continue to a uniquely blended culture at the French territory of Pondicherry. It’s become a haven for peace-seekers that set up artsy cafes and organic goods stores on its rocky banks. 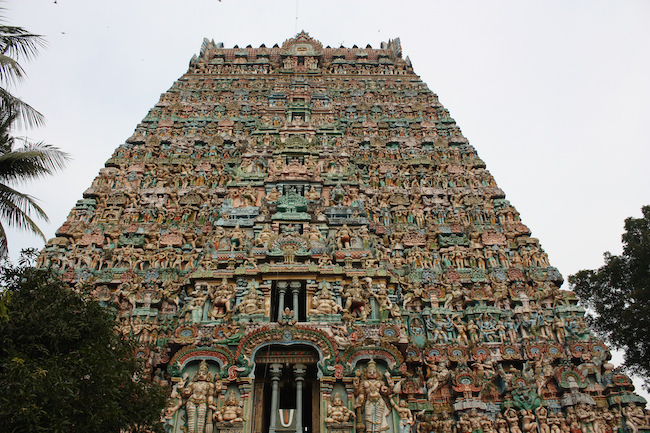 Next, it’s Tanajvur and Madurai, two incredible temple towns of Tamil Nadu. The former is home to the much sought-after silk saris and makes for great gifts to carry home. Touch the intricately carved temple walls, and step in for a puja if they let you. Then, cross the Nilgiri hills, stopping in the clouds at Munnar. Visit a tea factory, ride an elephant, and stay in on foggy cool nights with a hot cuppa. 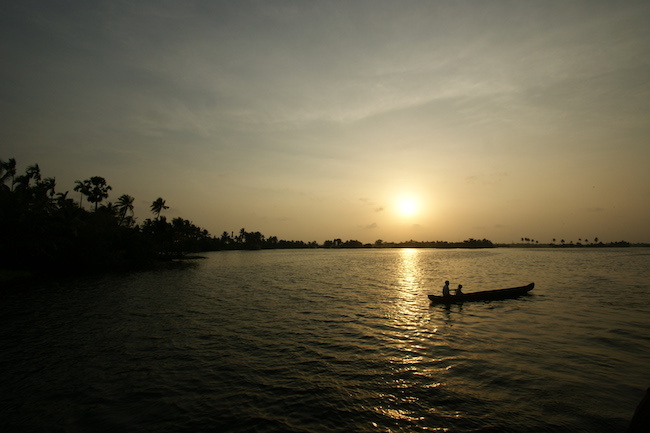 After, get back in the sun on the prow of a houseboat, soaking up that Vitamin D, probably in Alleppey’s backwaters. Round the trip off with the hubbub of Fort Kochi’s quay. Take a walking tour through its interesting quarters before going to Ernakulam. Highlights: Beautiful architecture, from the centuries-old temples to the colonial hangers-on. An important upside is that this route is much safer for women. Good to Know: If you’re up for a few more days holiday, visit the beaches of Kerala, maybe Varkala. Don’t be alarmed if the tourism industry isn’t geared toward helping foreign tourists in Tamil Nadu. They tend to focus more on Indians travelling for religious reasons. Are you a fan of old ruined forts? We’ll give you a dozen. Make the standard tourist trip from Mumbai to Goa but with six lesser-known stops thrown in between. Aurangabad, the capital city of the mighty Mughal king Aurangzeb. These streets are paradise for the meat-lovers. They once fed huge armies on succulent slow-cooked beef. Pune is much touted as the cultural hub of Maharashtra. Be sure to squeeze in a play or two, or a subtitled Marathi film. Their concept of art will blow you away. From here you can catch a bus to Hampi and mellow out before moving on to Aihole. A tiny village in Karnataka, it boasts an ancient historical temple complex. Since it doesn’t draw a lot of tourists, it’s a good chance to experience village life untainted. The temples are part of the Chalukya ruins, which continue into Pattadakal and Badami. The ones in Pattadakal are well preserved enough for it to have been named a World Heritage Site. When you’ve had your fill of valuable knowledge, skip off to the beaches of Goa for some well-earned relaxation! Highlights: This is a great route if you really want an authentic slice of village life and some peace and quiet away from the city. Good to Know: You’ll probably be giving up some comforts on the way, so carry anything extra you think you may need. This is the way to go if you’re here for wildlife parks and lush, green forest as far as the eye can see. Bangalore and Mysore are famous for their sprawling gardens. From Mysore, you can drive straight to Bandipur National Tiger Reserve. Funnily enough, it started off as a Maharaja’s private tiger hunting grounds. 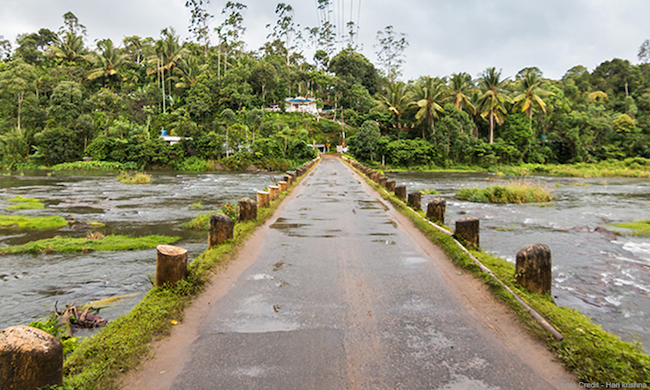 The forestland spills over into the Wayanad Wildlife Reserve of Kerala. Dense and shadowy forests teeming with elephants trumpeting about between the teaks. Fed by the Kabini River, this forest is full of farms and villages along its edges. Here you can find a great home stay that allows you to surround yourself with nature all day. And finally, the pride of tiger reserves, the Periyar National Park. 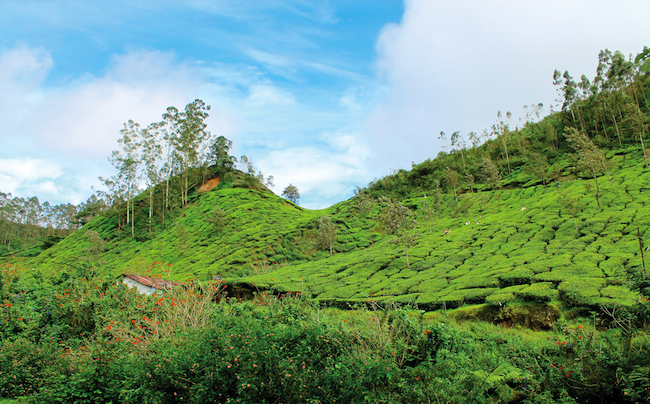 Battling daily against the urbanization and growing tea plantations, it’s an oasis of spine-chilling beauty and peace. Highlights: Beauty, calm, peace. But also mosquitoes, so wear full-sleeved clothing. Good to know: Wildlife resorts are always expensive, but they’re responsible and come with a great view! This is a seasonal route, best avoided from June to October during the monsoon. The Southern states have a strong tradition of making their temples the centre of the community. Into the temple go prayers and offerings and out come charity for the needy, dance, music and fine art. As society changes, they’re losing their grip on people’s minds, but they can never lose their charm. This is often followed as a pilgrimage route, and you’ll be sure to meet a lot of religious travellers on your way. That makes it a good chance to actually get to know the people and their beliefs. Take the trip a step beyond history and architecture; these cities have a lot more to them. Visit Chennai for its urban options, Mahabalipuram for its beaches, Trichy for its rock fort, Tanjore for its music and saris, Chettinad for its extremely hot food, Madurai for the depth of its Tamil culture and finally, Kanyakumari simply for being the absolute end of India. What holds them together though, are the temples. You can make a quite study of the Tamil practice of Hinduism and religious architecture, and all in just two weeks. Highlights: Since they’re used to local visitors, the food and entertainment will be rich in local colour. But the accommodation options will be up to the mark. Good to know: Tamil culture is strong and unyielding, do a little research about the people before you go. Expect clean and comfortable accommodation, but not too many boutique hotels on this route. This route has got every kind of beach city you’ve dreamt or thought of. 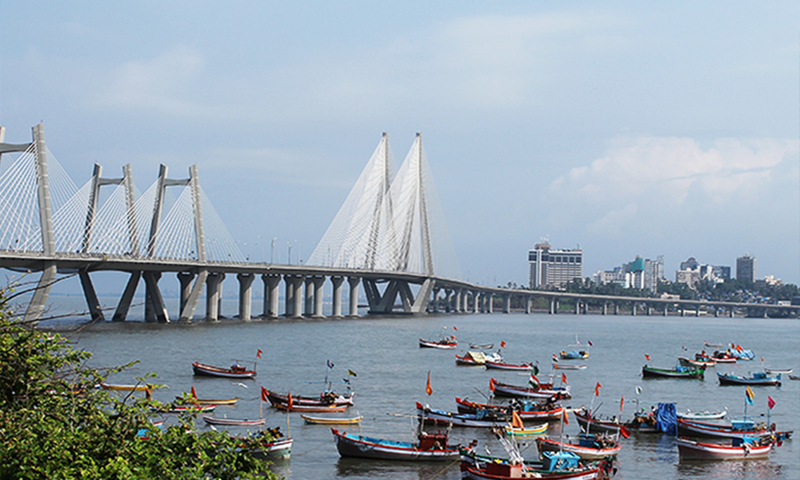 Start in Mumbai, urban and with a great coastline. While the beaches aren’t top notch, try climbing the tripods at Marine Drive for some adventurous activity. 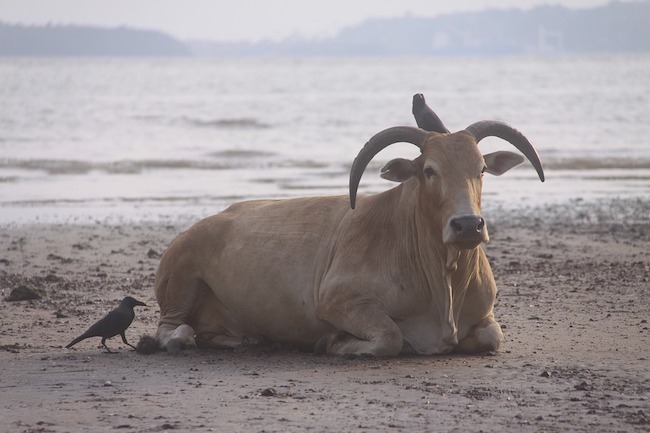 Goa, on the other hand, is the classic beach city with warm vibes. Filled with flea markets and cheap beers, let your hair loose and head to the nearest party. 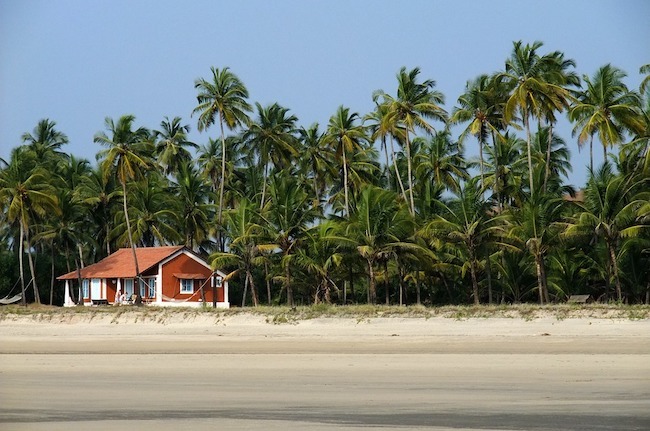 Where Goa’s bustling with nightlife, Gokarna is all beach. There are some temples inland, but the sea takes the cake, where you can watch surfers or jump in. Save up by living in a shack right on the seafront and gorge on seafood with the spare cash. Bekal, in Kerala, has simply the most stunning sunsets. Spend your day clambering through Bekal Fort’s passageways, and make your way to a window to catch the sunset. From here you can afford to take it up a notch and splurge. 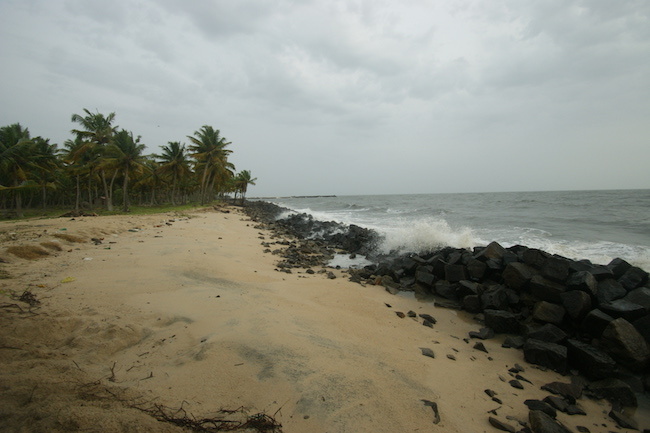 Check into a beach resort at Marari, further down the Kerala coastline. Working in harmony with the local fishermen, they’ll help you dip into local life without being intrusive or exploitative. Continue to Varkala, which was always famous for its beach temple that attracted pilgrims daily. However, now it’s filled with surfers and yoga geeks, who the locals have welcomed in open arms! Highlights: While constant beaches may sound boring, each one on this list is very different from the other. Each of the cities that they border has a unique charm. Good to know: Great route for backpackers, but you should book well in advance, particularly your trains. This route is best avoided from May to September during the monsoons. If you’d like to do any of these trips, personalise them, or create an entirely new trip, let us know and we can arrange it entirely for you so you can maximize your travelling experience. How much time in India is enough?